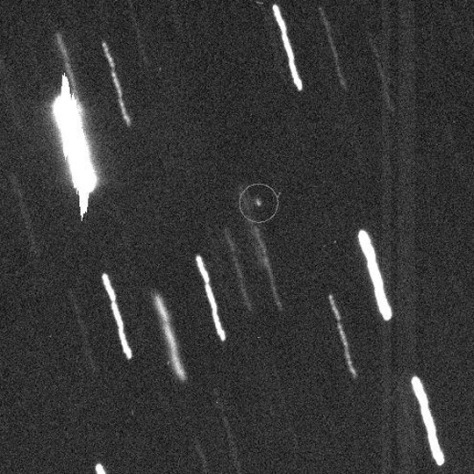 When it was discovered in 2004, the asteroid Apophis (circled here) was briefly estimated to have a 2.7 percent chance of impacting the Earth in 2029. Additional measurements later showed there was no impact risk at that time. Now astronomers predict the chance of an impact with Apophis in 20 years is about 1 in 45,000 — but the asteroid will be back. Analysis of the asteroid's orbit show it will return to Earth seven years later.